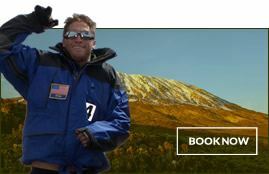 Do you dream about Kilimanjaro? Is it a once-in-a-lifetime opportunity? Do you want to make sure it lives up to expectations? If you answered yes to those three questions, contact Nature Discovery now. Many tour companies sell Treks these days, and more are popping up every year. 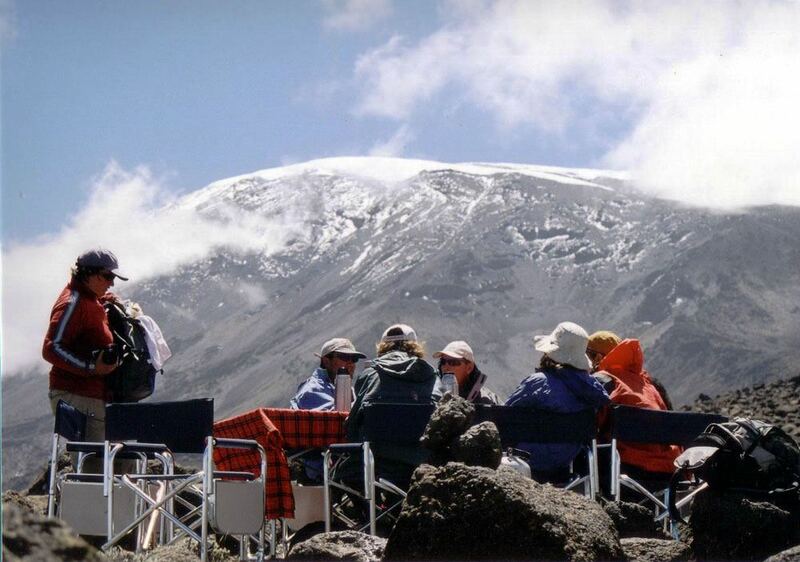 However, Nature Discovery was one of the first Kilimanjaro Guide Companies over 25 years ago, and we are the recognized leaders today. No one should experience the mountain in any other way. Provide only Wilderness First Responder certified guides so our entire guiding team is trained and certified to the highest level. Hyperbaric Chambers – A portable altitude chamber for emergency use in the case of severe altitude sickness. Oxygen – For emergency use. For groups of two to six people, we supply two oxygen kits including two 360 litre medical oxygen bottles, each with a regulator and two nasal cannula masks. For seven or more climbers, we provide three full oxygen kits, ensuring that every trekker has easy access to emergency oxygen. Stretchers – A fully rigid steel-framed litter stretcher to transport injured patients as safely and comfortably as possible. First-aid, Trauma and Medicine Kits – Fully stocked as per Wilderness First Responder guidelines and including medicine instructions. Two first-aid kits are carried for groups of nine or more. Pulse-oximeter – To measure heart rate, blood oxygen levels and rapidly detect changes in blood oxygen level. The Head Guide checks, evaluates and documents blood oxygen levels and heart rate for each climber daily at dinner time. VHF Handheld Radios – Three VHF radios are carried on each trek, for quick communications between the Head Guide, Assistant Guides at the back and front of the group, and the Camp Manager. Extra batteries are carried for each radio. Mobile Phones – Carried by all guides for daily communications with our base in Arusha. Satellite Phone – Carried at all times by the Head Guide, for use in emergencies or in areas with limited or no mobile network. Extra batteries are carried for each satellite phone allowing us immediate and constant communication in emergency situations. Safety Equipment Porters – The First Medical Equipment Porter stays with the group at all times, to ensure safety gear is always on hand. A Second (and third) Safety Equipment Porter accompanies larger groups, allowing us to split oxygen and other extra emergency supplies. Safety Briefing – A full safety briefing is given by the Head Guide before each trek, covering expectations, risks, safety gear and preventative safety. Climbing Helmets – Provided for all climbers and staff on Western Breach. Climbing rope – The Head Guide uses 50M x 10mm dynamic climbing ropes to set hand lines on Western Breach. Ice axes – Carried by all guides to cut snow steps on Western Breach. After 25 years leading climbs and treks on Kilimanjaro, we’ve listened to guest feedback, pursued our passion for innovation and found the ultimate combination of form and functionality for our camping equipment. It’s a unique set up that’s both practical and attractive, making our camp sites easily recognizable anywhere on the mountain. Our camping equipment is a combination of high-end mountain gear from reputable suppliers and equipment we’ve designed and made ourselves to suit the terrain. For example, we found that most traditional round dining tents didn’t fit the long, narrow tent sites so we now have our own custom-built dining tents built. We have a full-time team of tent-tailors and metal craftsmen at our base facility in Arusha. Our closed-cell foam pads cover the entire sleeping tent footprint and we’re the only company that uses them. It’s just one of the special touches our guests appreciate because they can always get a good night’s sleep, even in cold, wet weather. And even a heated lounge tent with comfy inflatable chairs! Mountain Hardwear Trango 3.1 Sleeping Tents – We use three-person tents as a double or single tent (supplementary charges apply for singles). Custom-made ground sheets – Separate ground sheets cover both vestibules in our sleeping tents to keep the sleeping area free of water, mud and dust and allow clean, dry gear storage of gear. Weatherproof dining tents – Our large, custom-designed and made, weatherproof dining tents have fly sheets, multiple doors (including a custom-designed hinged tent door, windows, ventilation, and full floors with storm skirts and ropes. Solar LED lights – We use high-powered solar LED lights in the dining tent so our guests can enjoy headlamp-free meals! Each tent has a number of powerful LED lights. Aluminium dining tables – Covered with Maasai-style tablecloths. Large private toilet tents with portable flush toilets (depending on the service level), These are erected on a stable frame and each toilet has hand-sanitizer available in a handy push-top dispenser. For groups of seven or more climbers, two toilet tents are provided. Pett toilets – In campsites without toilet facilities such as the Crater Camp, we use a special toilet made by Phillips Environmental which uses an absorbent powder and allows us to carry all solid human waste out of the campsite. This enables us to adhere strictly to the ‘Leave No Trace’ outdoor ethics. Wash stands – For washing hands before meals. Wash basins – Provided for each trekker on reaching camp. Hot water bottles – To keep you toasty warm in your sleeping bag. Safe drinking water – We purify all guest and staff drinking water using PUR packets. In addition to the camping gear listed above, which are taken on all climbs and treks, many camping extras are available on request for an additional charge. High-quality rental gear – Including trekking clothing, synthetic sleeping bags, Gore-Tex outerwear, warm layers, trekking poles and just about anything else you might need. Luxury sleeping tents – ‘Walk in’ tents with aluminium frame beds and soft foam mattresses allowing trekkers to sleep off the ground. 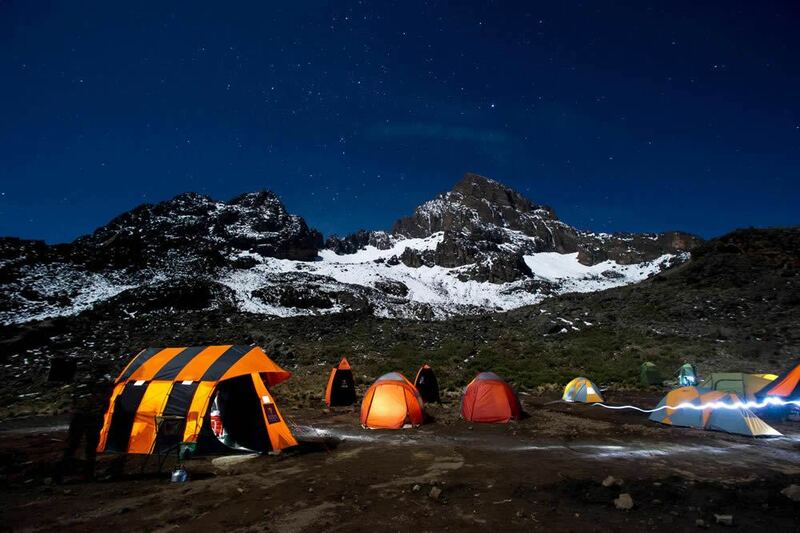 The tent is lit by powerful solar LED lights and features four entrances, ventilation ports, a fly sheet, storm skirt, storm ropes and closed cell mats to keep bags clean and dry. 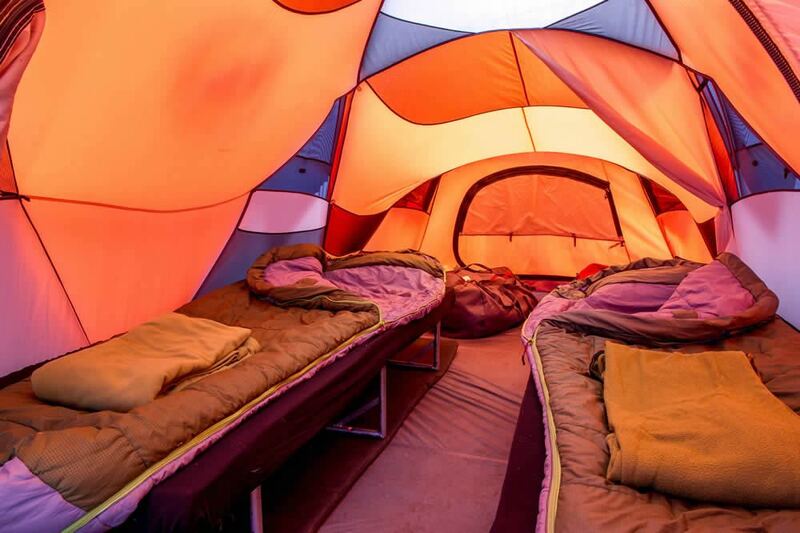 Hot showers – Set up in a spacious rectangular-framed tent with a 15-liter solar shower bag perched on top. Includes a shower mat, plenty of clothes hooks and bath towels. Dining tent heater – Propane space heaters to warm the dining tent before and during evening meals. Heated lounge tent – For the ultimate in comfort while climbing Africa’s tallest mountain book our heated lounge tent with solar lights, inflatable furniture and a large table for socialising or playing card games. Solar charging kit – Including a solar panel, 12V DC/7 AH /20-hour battery and USB sockets for charging up to two USB devices simultaneously while in camp. Ideal for charging cell phones, satellite phones, iPods, tablets and other small devices. Satellite wifi– Thuraya’s satellite wifi system in camp, allowing you to post updates to your friends and family back home about your adventure. Want the best guides and safest climbing experience but don’t mind roughing it a little? We also offer Lite and Superlite treks with less camping gear for those who don’t need all the frills. It’s a less expensive option but you still enjoy having the best guides, great food and rigorous safety standards. Please contact us now for more details or prices. We supply an average ratio of one guide for every two climbers. Our entire guide team are certified Wilderness First Responders (WFR) recognized by park management and other tour operators as the most capable and professional crews on the mountain. Nature Discovery employs over 40 WFR certified guides, and the management team are also WFR trained and certified. We train specialists in food preparation and expediting, hygiene management, and equipment management. This level of specialised training and development far surpasses the training and deployment offered by other outfits. We simply go further than others to deliver a professional product. Wilderness First Responder Certified Mountain Guides – All of our mountain guides hold current certification from the Sentinel Outdoor Institute and are re-certified every two years. Western-Breach Route Mountaineering Guides – These guides are specially trained by a mountaineering expert on setting hand-lines with reliable anchors, route safety, rock-fall protocol, and ice axe use for cutting steps and self-arrest. Mountain Chef – Our Mountain Chefs are trained to the highest standards because good nourishment is a priority for our climbers. They specialise in cooking set menu plans based on specially created and highly detailed recipes. Every year we review and improve recipes while our Chefs undergo additional training including vegetarian, vegan and gluten-free menu plans. Waiters – Each trek has a Head Waiter and an Assistant Waiter (depending on service level) to ensure a professional meal service and keeping the dining tent clean & organized. 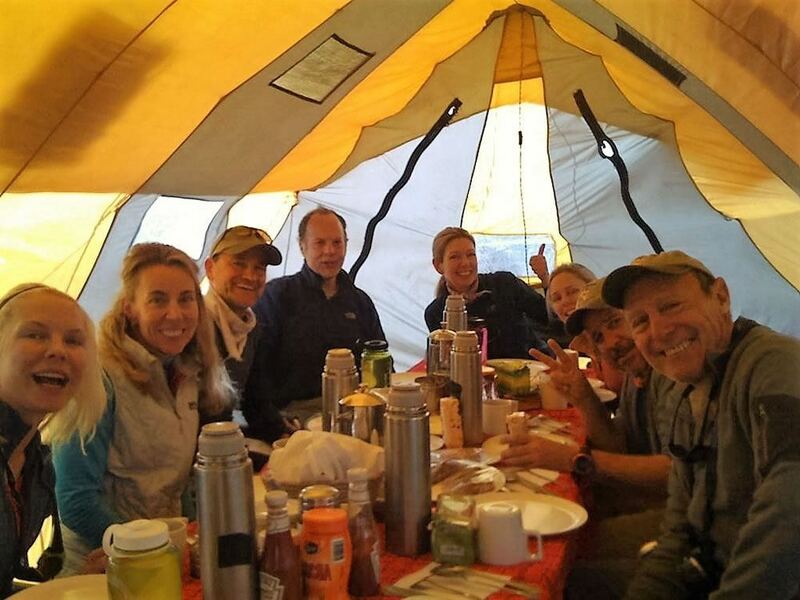 Campsite Manager – Our Campsite Managers organise the expert setup and breakdown of each camp, and practice the Leave No Trace wilderness ethics. Camp Set Up Crew – Our fastest porters reach the next camp location first, to secure the best tent sites daily. Sanitary Services Crew – This specialist team is trained in sanitary services including collection and treatment of drinking water and managing hand-washing stations for climbers. Waste crew – Most of our treks provide private restroom tents with portable flush toilets. The waste crews maintain and clean the toilets, and restock toilet tissue and hand sanitizer. In special campsites, we also carry out all our solid human waste using patented PETT toilets and ‘wag-bags’. Ethical Porter Treatment: We set the standards. A trek would not be possible without porters. They are the backbone of all Kilimanjaro expeditions but unfortunately, they’ve been exploited by the tourism industry for years. 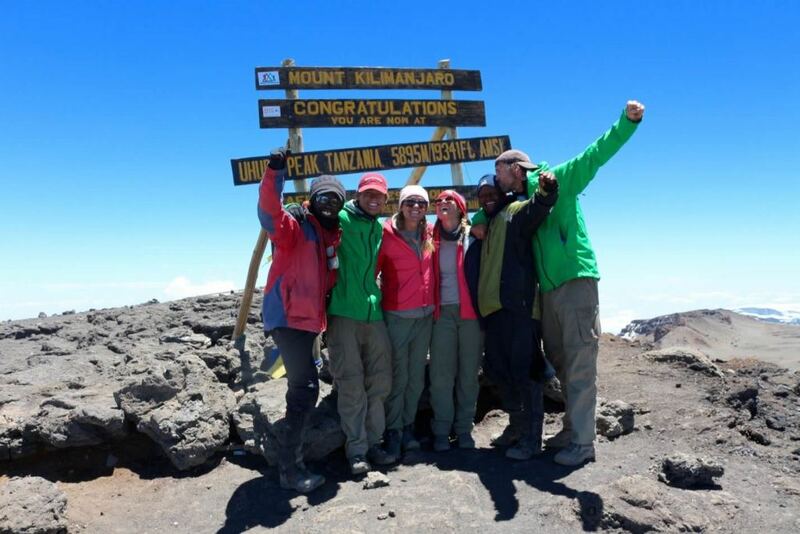 We lead the way in working with the Kilimanjaro Porter’s Assistance Project to change this. We’re committed to offering fair working conditions to our porters as well as treating them honestly and transparently. On the mountain, it’s clear to see which company takes the best care of its porters. We’ve led the way in establishing fair practices and our porters are instantly recognisable. We were the first company to provide professional matching weatherproof climbing uniforms for our porters. Our porters are easy to find because they have the best clothes, boots and climbing gear, plus the biggest smiles. They’re genuinely happy because they’re well paid, well fed and well clothed. They’re also well trained, secure in their roles and genuinely appreciated for the hard work they do. Our guests continually tell us that our porters were the most professional, friendly, helpful, courteous and strongest they saw on the mountain. Our ethical porter treatment means Nature Discovery attracts the best porters and keeps them, so naturally our guests enjoy better treatment too. The Kilimanjaro Porter’s Assistance Project (KPAP) has been the driving force for change to ethical porter treatment over the last 10 years. Based in Moshi, they are a Tanzanian Non-Governmental Organization (NGO) dedicated to improving the working conditions of porters. KPAP recognizes Nature Discovery as the leading example for the fair treatment of porters, based on the integrity of our systems and procedures. We’re proud of our role in helping to set high standards, creating change and revolutionizing how porters are chosen, outfitted, treated, paid and tipped. Fair Hiring Procedures – Our porters do not have to pay bribes to get work. All our porters are registered and chosen from a database which tracks performance and ensures fair work distribution. This system is unique to Nature Discovery and no other company even comes close to using it. 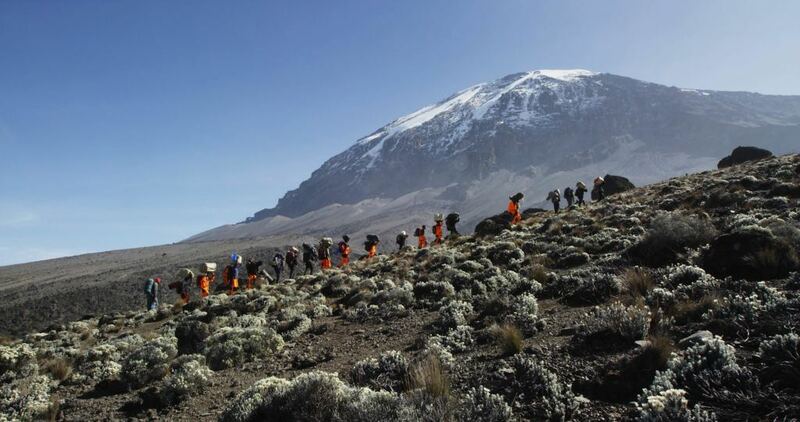 Highest Porter Wages and Bonuses – Our porters, mountain guides and core crew have the best payment packages on Kilimanjaro with some of the highest overall compensation packages including wages and bonuses. We go to extreme measures to ensure our porters receive their full salary and are paid on time. Strict Weight Limits – We go to excessive lengths to strictly uphold weight limits of 20kg per porter, carrying scales on every trek to ensure loads are never exceeded. Porter Welfare Officers – At the start of every trek our Welfare Officers inspect porters, check their equipment and ensure our fair porter treatment system is being practised in a transparent manner. Monitoring Porters – During treks we use independent Monitoring Porters to implement and provide constant feedback on our fair practice systems. Appropriate Clothing – We are the original (and still one of the few) companies who provide matching professional waterproof and windproof raingear to ALL our porters on every trek. Comfortable Sleeping Arrangements – We provide tents with floors and closed-cell sleeping pads for porters who do not have their own. Our porter tents are meticulously designed and fabricated to the highest standards to keep them warm and dry. Medical Treatment – In the event of injury, we provide medical treatment to our porters just as we would for our paying trekkers. Hearty meals – We exceed the guidelines set forth by KPAP by feeding our staff well and providing them with three meals a day. Most guide companies feed their porters one meal a day which is probably why our porters are happier, healthier and stronger! Private Transport – We transport our porters to the start of the trek and provide return transport home at the end of each trek. Most companies only hire porters who are ‘available’ at the gate. On-going Training – In addition to Wilderness First Responder certification, we provide wilderness first-aid, language and environmental responsibility training for our porters. We’ve translated the Leave No Trace (LNT) principles into Swahili and continue to train over 600 porters on LNT’s outdoor ethical guidelines. Fair Practice First and Forever – We were the first tour company to implement these fair practice procedures and we remain committed to them. Our professional and highly experienced team of managers, guides and porter welfare officers ensure we’re always ‘on it’. We’re widely recognized for these efforts by everyone, including the porters themselves, whose opinion we value most. Our commitment to ethical porter treatment and fair practice serves Nature Discovery and our guests well. There’s no doubt that we attract the friendliest, most reliable and most honest porters in Tanzania, and give them the best training. It pays off in so many ways; our happy, highly trained porters make for safe, happy, relaxed climbers and trekkers. Our menus have been developed by a team of professional cooks and mountain foodies with decades of experience in Tanzania. We constantly develop and improve our menus to create impressively tasty meals, despite the inhospitable mountain environment and use of only propane gas cookers. Most of our meals are produced in our Arusha kitchen, using fresh, nutritious ingredients which energize our guests for high altitude mountain trekking. You won’t find any unhealthy additives like stock cubes, MSG or processed foods in our kitchen or meals. Our delicious meals are created from local ingredients with no shortcuts or additives. For example, our soups include fresh butter or extra virgin olive oil, although cheap margarine and saturated oils are usually the norm in Tanzania. We grow over 30 different herbs and vegetables in our half acre organic garden including basil for our fresh pesto sauce, and rosemary and garlic cloves to flavour the fillet steaks for your final trek dinner. 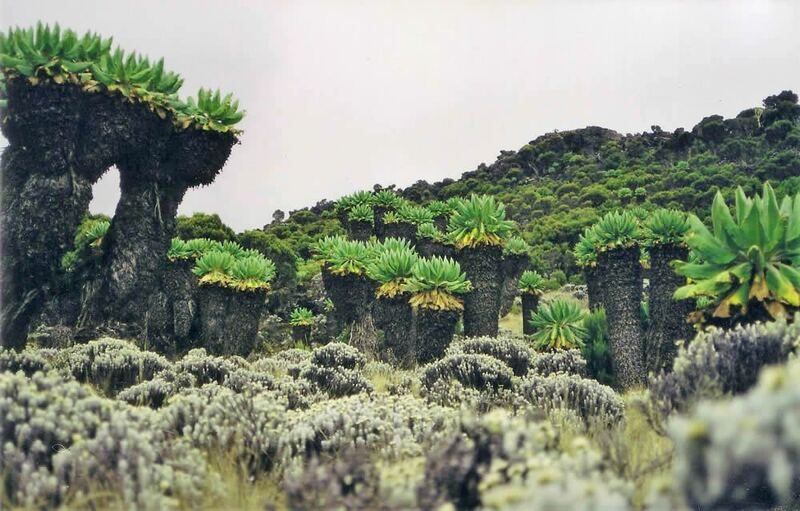 We even grow our own bananas for the decadent banana bread guests enjoy for breakfast on day two of each trek. We have inspired special menus available for vegetarian, vegan, and gluten-free climbers. We’ll happily cater for allergies or faith-based dietary restrictions on request. Trained chefs – Your mountain chef will have undergone intensive training and regular additional training to make sure your meals meet our high standards. Each chef carries a recipe book for the set menus with laminated photos of each dish for every meal. This means our guests are consistently provided with high quality meals. We constantly monitor guest feedback so we can tweak and change menus where needed to carry on exceeding guest expectations for mountain cuisine. Organic ingredients – Including produce grown in our garden. Homemade trail snacks – Including our own dried fruit and delicious dehydrated (not baked) energy bars, energy balls and other tasty trail snacks, produced in our kitchen. Custom made cool boxes – We design and make our own mountain ice boxes to keep food fresh. Fresh, homemade bread – Our head baker, Dennis Mchimbi makes ten different types of bread. Homemade cookies, cakes and desserts – All cooked in our own kitchen including Dennis’s decadent chocolate cake, which is famous in Arusha! Snacks – To take the edge off your hunger on arrival in camp, including yummy Tanzanian mandazi doughnuts. French press coffee – Made with the best Tanzanian freshly ground coffee from Kimemo Estates and served in insulated stainless-steel coffee pots. Cheese platter – A selection of fine cheeses served with locally produced crackers to start or end your trek. Sparkling wine – Served in glass flutes to toast your arrival at Uhuru Peak (once you are safely down!). The word ‘ecotourism’ is over-used, often by tourism ventures that barely understand what truly responsible tourism involves. At Nature Discovery, we practice what we preach and no other guide companies go to the lengths we do to practice environmental responsibility. 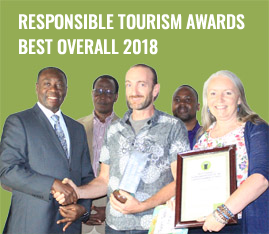 Implementing Leave No Trace (LNT) outdoor ethics – We are an official LNT partner and one of the few tourism companies in Tanzania practising the comprehensive LNT principles. We’ve translated the LNT literature into Swahili and our 600+ porters receive regular LNT training and refresher courses both from LNT and our management team. We ensure that no trash, food waste or solid human waste is left at any campsite or anywhere along the trail. That includes the use of special PETT toilets where needed and packing out all human waste from Crater Camp where there are no public toilet facilities. Conservation – As a leader in environmental responsibility we are actively involved in conservation efforts, including reforesting a wilderness area in northern Tanzania. 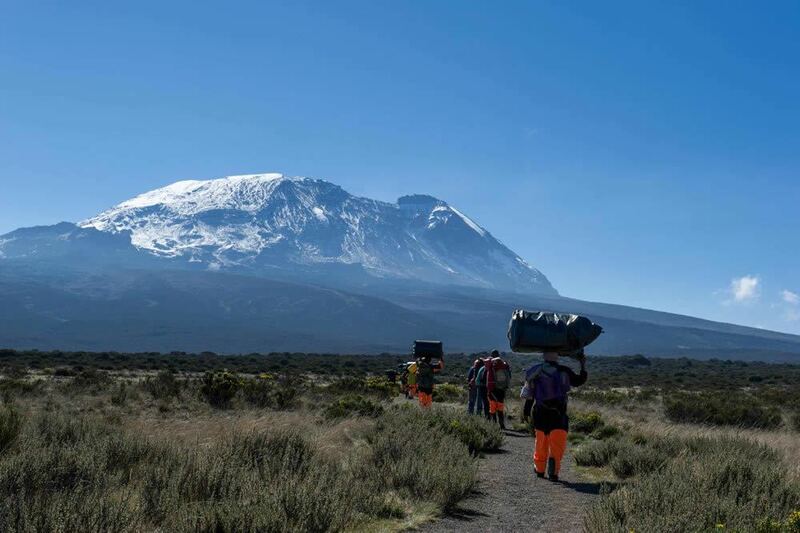 Carbon Neutral – We purchase carbon credits for every climber and trekker we take up Kilimanjaro in official partnership with Carbon Tanzania. These payments account for well-documented forestry activities that reduce the amount of carbon dioxide in the atmosphere. Eco-friendly office practices – At our Arusha base facility we recycle all plastics, glass and metals; exclusively use lighting energy-saving light bulbs; compost all food and wastage from our organic vegetable garden; and grow fruit, vegetables and herbs organically with no synthetic or processed fertilizers, pesticides or herbicides. We have our own in-house electrician, welders and other specialists which reduce our need to send vehicles into Arusha for maintenance, and we have a bike messenger who does the daily runs into town for vouchers, payments, etc. Developing green social enterprise – We have been the main cog in developing the Arusha Bicycle Center (on our land); a social enterprise started in 2015 to promote the growth of the bicycle in Arusha as a means of transport. We’ve already sold thousands of bikes in Arusha. And all of the profits of this endeavour go to the growth and development of competitive cycling in Tanzania. Also, we have a program incentivizing our employees to bike to work, and we give them rebates on bikes purchased at Arusha Bicycle Center; a project we have been integral in developing. No other trekking company has the same focus, passion, experience, and expertise as Nature Discovery. As Kilimanjaro specialists, we’ve devoted endless time and energy into making our climbs the most professional, organized and responsible. With over 25 years experience running treks on the mountain, we’ve climbed every route, visited every campsite, and hiked ever meter of every trail on the mountain. We’re rightly considered the industry leaders, both by international travel professionals and our competitors. Our managers work to the highest standards and have custom designed our tours and customer service, from your first step to the final hoorah. We work as a close-knit team and make continual efforts to improve our services. Our greatest rewards are the fantastic feedback we get from our guests, park authorities and our team members. Check out our reviews to see for yourself how people rate Nature Discovery. Our reputation is impeccable. 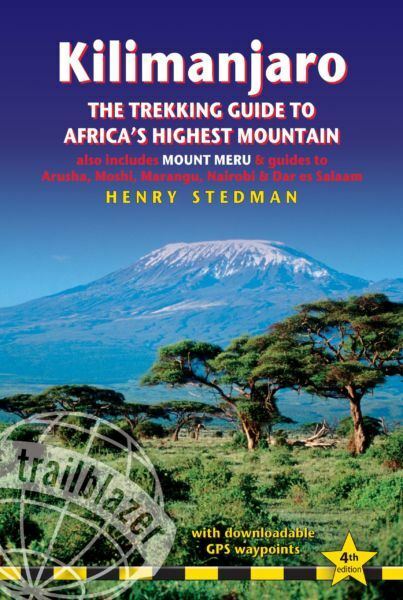 If you want to climb with the best and have a flawless trekking experience, book with Nature Discovery today. Booking is essential and our tours are popular, so contact us now to avoid disappointment. My two sons and I just got back from a successful summit climb on Kilimanjaro. We had a fabulous time, with the full support and friendship of our Nature Discovery crew. We were confident we had the highest quality group on the mountain. They were professional, knowledgeable, and experienced. We couldn’t have asked for a better trip! Nature Discovery are simply phenomenal. Without their superb planning, attention to detail, and the expertise of the guides we wouldn’t have been able to even attempt the World Record. (World’s Highest Football Match ) We cannot recommend the team highly enough and you can trust Ailsa, Thomas, MC and the team completely for your amazing adventures.